Falls Prevention, to include: Arthritis, [Back] pain, non-specific/general pain, bones, sarcopenia, brain injuries (including stroke recovery), peripheral neuropathy. Cardiovascular Rehabilitation to include: Heart, Pulmonary, circulatory system, asthma/respiratory system. “Learn to fix yourself before you can help others” – understanding the importance of your own balance, stability and co-ordination. loosening exercise for improved circulation and mobility. *tai chi form taught is the first session (17 movements) of the Cheng Man Ching style of tai chi (Yang style). It is taught over the whole program. Movements are listed in the appendix. Hand-outs (including photos) and DVD’s will be supplied. A holistic mind-and-body approach is applied. The program includes both seated and standing tai chi and qigong sets designed to improve mobility, balance and confidence. The sets are progressive and designed in a graded activity format. In addition to learning tai chi and qigong movement, the program covers history of tai chi, medical research, mindfulness, pain management, relaxation and motivation. The program is split into four blocks of 2-days over the year, which enables development and application to be more easily measured. The aims and objectives of the program are to introduce patients/students to a progressive form of exercise for mind and body. The gentle nature of tai chi and qigong make it ideal for people who believe, or have been told, that they are not suitable for exercise as medical and anecdotal research has shown it to be highly effective. As the practice of tai chi and qigong is so enjoyable, it has been identified that people do more additional practice at home, when compared with other forms of rehabilitation. The overall aim is to encourage, those taking part, to continue exercising in the long term and thereby gaining the longer-term benefits of tai chi and qigong. Physiotherapist, Occupational Therapists, specialist activity professionals (e.g. cardiac rehab instructors), specialist nurses, tai chi instructors and personal trainers. Please note, if you feel you may be suitable but your profession has not been mentioned, do contact us to discuss. Professional qualifications in the occupations mentioned above to a minimum of level 3. For tai chi instructors, with no other relevant qualification, you may be asked to provide supportive evidence of your experience and understanding. The program is delivered with a mix of theory, discussion and practice. The experiential nature of the training means there is no final exam, as assessment is done on an ongoing basis, plus evidence of application and understanding at each module. The program is delivered in four blocks of 2-days over the year and those attending are expected to feedback, at each module, on their sessions. 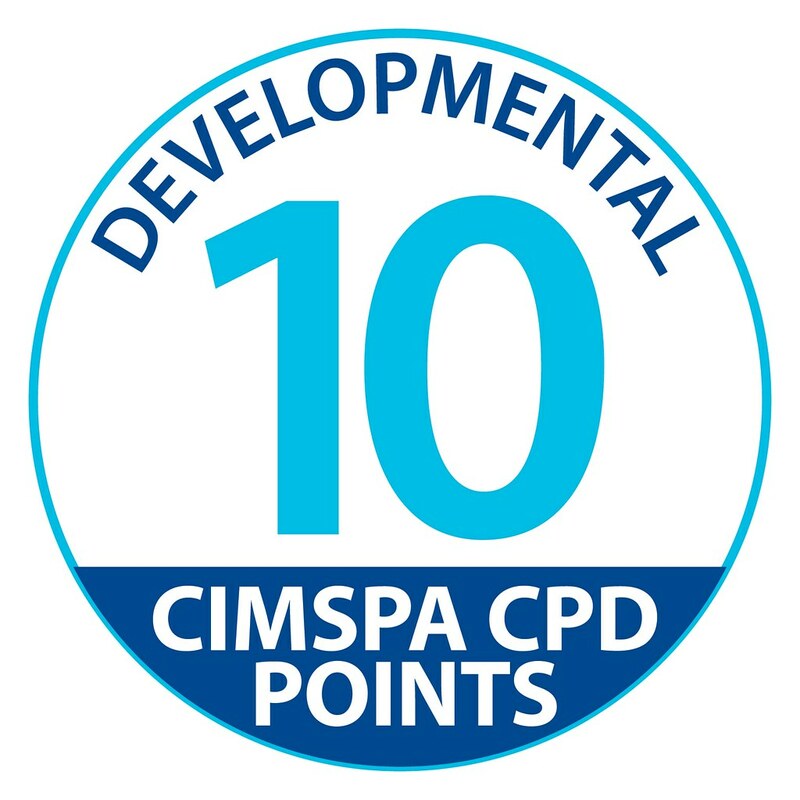 This program is accredited by Chartered Institute for the Management of Sport and Physical Activity (CIMPSA) and awared 10 development points (CPD) which is the maximum possible. It is inline with the new standard written to support people with long term-term conditions. Training is help in Birmingham. Details and dates can be found on the home page by clicking here. Most people think of Tai Chi as a wonderful relaxing exercise performed in parks throughout China, in the early morning. This is true to some extent. Tai Chi is relaxing, but it also strengthens the body, improves circulation and is an effective form of self-defense. To learn the form is to merely scratch the surface. As an exercise it can strengthen you both mentally and physically by improving your levels of relaxation and teaching you about correct body alignment. As self-defense it works on redirection of incoming force rather than rigid blocking. This overcomes the need for brawn usually associated with martial arts. The holistic nature of this ancient martial art makes it suitable for people of all ages and levels of fitness as it adapts itself to suit your abilities. The term Taijiquan (Tai Chi Chuan) literally means ‘supreme ultimate boxing’, and is more commonly referred to as Tai Chi. There are many different stories concerning its origins and creation. The most popular legend, which has little factual substantiation, is that of ZHANG SAN FENG, a Daoist who, already having mastered Shaolin boxing, caught sight of a crane fighting a snake. Intrigued by the yielding, smooth evasion and darting counter-attacks of both creatures, he was inspired to develop a form of boxing, which would embody the natural philosophy of the Dao. Legend aside, in the middle of the eighteenth century a soft boxing was being taught in the village of Chenjiakou, in Henan province. This soft boxing was finally popularised by YANG LUCHAN (1780 - 1873), who, through diligent effort, learnt the Chen family boxing, and then went to Beijing, where he taught the art, in a modified form to the Manchu court. This YANG school of boxing was destined to become the most popular form of TAIJIQUAN (TAI CHI CH’UAN), with the help of YANG CHENG FU, the most widely known descendent of Yang Luchan. It is characterised by large, smooth, flowing movements with an unbroken even tempo, avoiding strenuous over-exertion. As an exercise for health, Tai Chi has been proven to help with stress relief, poor circulation, joint damage and respiratory and digestive disorders. From a Western physiological approach, it improves your balance, posture and general awareness. The abdominal/diaphragm breathing taught increases oxygenation of the blood, which in turn aids the function of the internal organs and the brain. The slow graceful movements settle both the mind and body. The Eastern approach is based on the flow of Chi through the meridian pathways of the body. Each posture is said to affect specific organs and functions. Tai Chi works on relaxation rather than muscular strength and as such is not limited by age or brawn. It works on the use of intrinsic energy (chi) and proper body alignment. Although this may sound a little mystical, it is perfectly obtainable by all who are willing to persevere. On a more accessible level, Tai Chi is a close-quarter system, which incorporates the use of locks, throws and in-fighting techniques, making it a most realistic form of self-defense. It is a reactive system rather than an aggressive one; the classics say, "They move first but you arrive first". Qigong literally translates as 'breath exercise' and is included in general classes as well as specific workshops. It focuses on controlling your movement and awareness with relaxed breathing. This improves the efficiency of your respiratory system and oxygenising of the blood. It is said that correct breathing is the miracle, which calls back in a flash our dispersed mind and restores it to wholeness so that we can live each moment of life. Tai Chi is neither an instant health cure nor a ten-week self-defense course. It is an art, and like all arts, it takes time and diligent practice to perfect. For those willing to persevere, the benefits are amazing, and are not diminished by the constraints of old age; in fact there are many practitioners around the world in their 80’s and still teaching. When asked by a student "What is the most important reason to study Tai Chi Chuan?" Master Cheng Man Ching replied, "The most important reason is that when you finally reach the place where you understand what life is about, you'll have the health to enjoy it." The above is background information to help you with this training course and as a reference for future questions from students etc. I will detail a series of points below as triggers to help with your future practice/teaching but it is essential you expand on these in your own notes. The Chinese believe you die from the feet up and that your legs are your second heart. A physiological explanation for this would be that the constant weight changing during your Taiji practice generates a pumping action that improves circulation, lymph drainage and assists the heart. A psychological example might be that when you become immobile, you lose your zest for life. Why do children and the elderly over-balance? Have you ever stopped and watched either? Children have two main reasons, one which applies when very young: When born the head is larger than the body to aid delivery and the body takes a time to catch up therefore making a child initially top heavy which allows them to easily be outside their field of balance. Secondly, and this one applied to the elderly or those recovering from strokes etc. as well - THEY OFTEN DON'T LOOK OR FEEL WHERE THEY ARE GOING. After watching many elderly frail with walking-frames, literally bulldozing their way through rooms, tripping over carpets, snagging themselves on chairs, banging into other people.I feel that this a representation of their need to be independent, not ask for help, show that they can still manage alone. This stalwart trait is very understandable, but can leave them at great risk of unsure footing loss of balance and ultimately falls.Another aspects is how we walk; we fall forward and hope our legs keep up unhindered. This is equivalent to dropping a plate full of dinner then pushing a table underneath to catch it, hoping it will get there in time. In Tai Chi we learn to not commit body weight until we know the leg is definitely their first; this way we avoid trips and develop a strong stable base. Research in to planter pressure during Tai Chi practice highlights the effects of tai chi's approach to positioning and function. A natural bi-product of Tai Chi movement is strengthening of the vastus medialis obliquus (VMO). The VMO muscle is not effectively used during normal walking or running; in fact runners quite often suffer from knee pain due to weakness of the VMO. Research comparing normal walking with Tai Chi showed a greater degree of muscle activation. Children breathe with the abdomen before they are taught to ‘hold in their stomach and stand tall’. We later learn that breathing with our chest alone reduces the depth of the breath thereby increasing the need for more breaths. Consider how you feel when anxious or tight chested if you have asthma and you will easily see the detrimental effect chest breathing has. By breathing with your abdomen your will draw down your diaphragm and learn to use more of your lung capacity. This improves oxygenisation to the blood, calms the mind/body and lowers the centre of gravity. The dorsiflexors are what allow you to work your car pedals or tap your foot to music. When they weaken it becomes hard to lift your foot without the toes dropping. This causes the foot to drag when walking and increases the risk of falls. Taiji teaches you to place your heal down first and to clearly define your steps. Poor definition is classified as poor heal strike and gives the impression the person is attempting to climb stairs as they lift their leg higher than would normally be necessary. The heal/toe exercise is designed to help but eventually the use of high ankle supportive footwear or ankle bracing may be needed. A bi-product of this is that the calf muscles shorten due to imbalance of use, which leads to the person leaning forwards and thereby increasing the risk of imbalance due to over-toppling. One of the clear benefits of Taiji is improved space awareness. The steady, clearly defined movements, the walking exercises and concept of ‘aligning with gravity’, all add to an improved awareness of being. Exercises are designed to increase awareness of your range of balance and the need to move within that range. You learn to listen to your body and appreciate/understand what affects your balance. You learn to be aware of the ground beneath your feet…..
A key phrase I use in my own classes is ‘learn to do less’. We think we need to do much more than we actually do to achieve the result we want. Consider your car: when driven hard it burns more fuel wares out sooner and doesn’t necessarily get you there any sooner; your body is no different. Through correct body connection your will move more efficiently, generate a greater result from less effort and have more energy to spare for when it is really needed. When you get up in the morning, your start with a certain amount of energy and as you go trough the day this is used up. Would it not be wonderful if by the end of the working day you had some energy left for yourself? Segmenting the body as we move causes a great deal of wastage and strain, so look how the body is constructed and feel the connections: hips to shoulders, knees to elbows, hands to feet. When you are weighted in your front leg is you ankle, knee and hip aligned? Is your shoulder aligned with your hip? Can you feel your weight falling through your body easily and uninterrupted? Does your whole foot feel connected to and pressing the ground? Fallen arches, diminishing nerve response, stroke numbness etc all affect your feeling of connection, but slow steady practice will improve your awareness and understanding of your body connection. Why stand when we can sit and rest…? Sitting allows muscles to rest but can, in time also weaken them. Sitting exercises are OK for those who cannot stand, but are not meant to replace standing practice. Sitting does not work the specific muscles and ligaments that control your balance. Sitting can diminish your feeling of connection to the ground. These types of exercises can be taken as part of a whole program but must lead to standing and moving practice. In turn static standing exercises do not work your range of balance. Taiji’s rotational movements working on single weighted stances increase your range of balance. Have you ever stood up quickly and gone light headed? A sudden drop in your blood pressure, which affects your balance centres, causes this. Now if you were already weakened from old age, poor blood pressure, stroke, illness etc, can you see how easy it would be to fall and possibly injure yourself? It is essential that correct methods of standing and sitting be taught. These should be steady and use each joint in a scissor action to ensure correct body movement is considered. By leaning too far forwards when standing or sitting, it is easy to topple forwards and over balance; by leaning too far back it is easy to fall into or over the chair and land with a thud which can jar and cause quite serious damage. The key to everything in Tai Chi can be summed up in the Zen concept of living in the here and now, of being aware and paying attention to the moment. It is in the attention to detail, of listening to our bodies. This helps us to help our patients and keep them on the road to recovery. This training is designed to harness the well documented therapeutic benefits of Tai Chi and Chi-Kung along with Alexander Technique, NLP, Clinical Hypnotherapy, CBT etc. The aim is to create change both mental and physical, and to encourage continued personal development. This is in line with the recommendations of NICE clinical guideline NG115 and QS10, NG106 and QS9. Tai Chi has been suggested as an appropriate, if not ideal, form of exercise for patients with chronic cardiopulmonary disease. Because it is a low-impact form of exercise that uses slow movements, it appears to be suitable for persons across a wide range of functional capacities, including those with severe deconditioning associated with CHF or COPD. Two studies have specifically examined Tai Chi in patients with CHF. Yeh and associates,16 who conducted a randomized controlled trial involving 30 patients, reported improvements in functional capacity as measured by the 6-minute walk, disease-specific quality of life (Minnesota Living with Heart Failure Questionnaire [MLHFQ]), and serum B-type natriuretic peptide levels after 12 weeks of Tai Chi. Trends were also seen in improved peak oxygen uptake in the Tai Chi practitioners compared with the usual-care control group. Similarly, Fontana and associates,17 in a nonrandomized study involving 5 patients, reported improved functional capacity as measured by the 6-minute walk test, improved global and disease-specific quality-of-life (Short Form 36 Health Survey Questionnaire [SF-36] and MLHFQ), and reduced dyspnoea (or dyspnea). Due to limitation of breathing, joint pain and/or fibromyalgia, patients believe they are unable to be involved with any form of effective exercise; this is where Tai Chi and Chi-kung (breath exercise) really come into their own. Tai Chi Reduces Falls in the Elderly by Half. In a comparative study of Tai Chi and Computerised Balance Training (CBT), The Atlanta FICSIT research team* found that Tai Chi training reduced the risk of falling by 47.5%. The study was conducted with a group of 200 people aged 70+ over a 15-week period with a four months follow-up. These two approaches were assessed with regard of their influence on biomedical, functional, and psychological indicators of frailty and, secondarily, evaluated their influence on the occurrence of falls. It was noted, “Tai Chi is a low technological, inexpensive group activity, whereas the CBT approach is a comparatively expensive, high technological approach performed individually”. To the surprise of the research team, the CBT approach did not reduce the rate of falls in this study. Tai Chi participants also reported “reduced fear of falling and increased sense of being able to do all that they would like to do”. Researchers attributed the dramatic improvement in balance to the fact that in the Tai Chi “form” participants continually used body rotational movements on a progressively diminishing base of support. Static balance exercises do not seem to improve balance in later life. Reducing Frailty and Falls in Older Persons: An Investigation of Tai Chi and Computerized Balance Training, Wolf et al., Journal of American Geriatrics Society, May 1996 – Vol 44, No.5. Some hip fractures occur as a result of a direct injury when the patient hits the ground, but a high proportion occur as a result of stresses and strains set up by a sudden twisting when people are aged and suffer from osteoporosis. One textbook goes as far as to suggest that the majority of fractures of a brittle hip follow rotational forces induced by a stumble or a fall, and not from a direct injury as the patient hits the ground. Dr Thomas Stuttaford in The Times on 29th January 1998 following Queen Elisabeth the Queen Mother’s fall and hip fracture. Now lets look to some simple tests and aids to balance training. I was first introduced to this by Eva Koskuba, some years ago, and found it massively useful. The information can also be found on the Tai Chi in The Park site.... Time how long you can remain balanced standing on one leg. This can give you an indication of how “old” you are regarding your balance. If you can balance according to your age or better – congratulations, and keep up the good work. If you find that your balance falls far short of your actual age, remember that you can improve your balance with a little bit of practice - and you can keep on improving it. Training in balance, strength, co-ordination and endurance (see exercises overleaf). Set yourself a realistic goal that is specific and achievable. Once you have a specific goal, give yourself enough time to accomplish it. With strength, balance and endurance training, the risk of falling is reduced by 10%. With specialised balance training, the risk of falling is reduced by 25%. With regular Taiji training, the risk of falling is reduced by 47%. Keep your weight evenly distributed over both feet when standing. Feel your weight fall through you body to the ground but not through your heels. Keep your body symmetrical, keeping the shoulders in line with the hips and ankles. When walking, keep your head as if suspended from above; keep looking ahead and not down on the ground. Feel the way you transfer the weight. Feel your body weight on your entire foot – heel, ball, toes and both sides. Move slowly and with awareness. Focus your eyes on something ahead of you and pay attention to your feet. Come up on your toes, balance for a moment and come down on your heels. Repeat several times. Stand as tall as you can on your toes and start walking forward with slow, small steps. Lift one leg and hold for a moment. To balance on one foot, shift your weight over that foot before lifting the other leg. Lift one leg and draw a circle with the knee. Lift one leg so that the lifted knee is above the hip. Repeat with the other leg. Squatting is a very effective strengthening exercise for the thighs (quadriceps). However, pay close attention to the proper alignment of the hips, knees and toes. Walk slowly forwards and backwards. Close your eyes. Then, keeping your eyes shut, slowly lift one foot and try to balance on the other leg. Count the seconds you remain balanced. It is quite surprising how difficult this is. Tai chi for cardiac rehab training is designed to harness the well documented therapeutic benefits of Tai Chi and Chi-Kung along with Alexander Technique, NLP, mindfulness, CBT etc. The aim is to create change both mental and physical, and to encourage continued personal development. This is in line with the recommendations of NICE clinical guideline CG172. To provide access to a phase IV cardiac rehabilitation programme for patients who have been discharged from UHBfT following an acute cardiac event or intervention through the provision of a weekly Tai Chi Class for in the community setting. To qualitatively evaluate the Tai Chi programme by using case histories of participants. Significant improvements were reported in the entire COOP dimensions analysed. The most evident being the positive change in health reported in 76% of the cohort. Over half of the participants reported improvements in overall health (58%), and emotional status (50%). A further 45% of patients reported improvements in their ability to undertake daily activities, and 41% in their ability to undertake social activities. Improvement in physical fitness was reported in 32% of the cohort. At initial COOP chart assessment none of the patients reported the least extreme dimension (i.e. score 1) for any of the COOP charts used At endpoint; 65% were fully integrating socially, 44% were able to undertake their daily activities with no difficulty at all, 29% reported their health was much better, 17% reported not being bothered by emotional problems and 5% reported they were able to undertaken strenuous activity regularly. COOP chart analysis suggested that Tai Chi had improved the general health and well being of this cohort. The improvements achieved by participating in Tai Chi were also reflected in improved quality of life for patients as evident in the case histories. Patients were able to re-commence employment, avoid the need for planned orthopaedic surgery and actively participate in helping other cardiac patients; this was evident through speaking at support groups and education classes and also by offering individual support to patients during the Tai Chi classes themselves. More great news for those rehabilitating from Cardiac related illness! And for everyone else! The BBC reported on a US study of 30 patients which found regular Tai Chi classes gave patients better movement and reduced BNP levels, a measure of heart failure. The British Heart Foundation said the study was "excellent news" and Tai Chi could be adopted into treatment programmes in the UK in the future. In fact, another study in The Harvard Women's Health Watch, reported, "studies support Tai Chi [use] for heart-attack and cardiac-bypass patients, to improve cardio-respiratory function and reduce blood pressure." While, the Journal of Alternative and Complimentary Medicine reported that Tai Chi "results in favourable lipid profile changes and improve subjects' anxiety status. Therefore, Tai Chi could be used as an alternative modality in treating patients with mild hypertension, with a promising economic effect." This lowering of high blood pressure and creating more favourable lipid levels bodes well for all of us. A study in the Journal of American Geriatrics reported data substantiating that practicing Tai Chi regularly may delay the decline of cardio-respiratory function in older individuals. In addition, TC may be prescribed as a suitable aerobics exercise for older adults. Tai Chi is shown to lower high blood pressure in several studies. An article in WebMD explains that the anger-associated hormones coming from the adrenal gland, located on or near the kidneys when over stimulated result in higher blood pressure and cholesterol levels. They reported that William H. Mueller, PhD (Behavioural epidemiologist and professor of behavioural sciences at the School of Public Health at the University of Texas in Houston), explained that Tai Chi is documented to calm those "fight or flight" chemicals and promote healing. Once we realize that heart disease, like most illness, is caused by stress it is easy to see why Tai Chi is such an effective preventative or rehabilitative therapy for heart disease and health (Kaiser Permente 20 year study found 70 to 85% of illness sending patients to their doctors were caused by stress). At the Institute of Psychology, Academia Sinica, a research study found that Tai Chi and QiGong practice can positively affect the states of mind of subjects to lessen the incidence of Type-A behaviour patterns, believed to increase the risk of heart disease. As early as 1989, the Journal of Psychosomatic Research, reported on a study finding that "Relative to measurement beforehand, practice of Tai Chi raised heart rate, increased nonadrenaline excretion in urine, and decreased salivary cortisol concentration. Relative to baseline levels, [Test Subjects] reported less tension, depression, anger, fatigue, confusion and state-anxiety; they felt more vigorous, and in general they had less total mood disturbance." Tai Chi is perhaps the lowest impact exercise one can do, and is gentle and easy enough to do in business clothes at the office. Yet, recent studies show that Tai Chi can provide much the same cardiovascular benefit as moderate impact aerobics. In fact, a study from the Journal of American Geriatrics reported by Reuters found that Tai Chi lowered high blood pressure in older adults even more than regular aerobics. The fact that Tai Chi can do this without speeding up their heart rates, changes the way medicine looks at cardio vascular physical therapies. Dr. Deborah Rohm Young, of the Johns Hopkins Medical Institutions in Baltimore, Maryland (a researcher in this study) said that these finding ``suggest that (exercise) intensity may be less important than other factors'' when it comes to lowering high blood pressure. Yet, there may be another aspect of Tai Chi that helps prevent heart disease. An odd study result appeared a few years ago showing a correlation between regular dental flossing and reduced heart disease. Some speculate that the reduction of chronic gum infections that flossing fosters, makes life easier for the heart which is strained by the body fighting infections. This is where Tai Chi comes in, because research is now revealing that Tai Chi profoundly boosts the body's ability to fight viral infections. A study conducted in China indicates that Tai Chi may increase the number of T lymphocytes in the body. Also know as T-Cells, these lymphocytes help the immune system destroy bacteria and possibly even tumour cells. A more recent study at the University of California at Los Angeles (UCLA), in what is believed to be the first study of its kind conducted in the United States, researchers have shown that behavioural interventions and integrative exercise programs such as tai chi can have a direct, positive effect on the immune system in older adults. The September/October issue of Psychosomatic Medicine reported that the scientists found "a nearly 50 percent increase" of varicella virus responder cells in Tai Chi Chuan (TCC) patients from the start of the study to the one-week post-TCC period. On a patient-by-patient basis, levels of memory T-cells increased in nine TCC patients, remained unchanged in seven=20patients and decreased in one patient. In the control group, memory T-cell levels increased in three patients, were unchanged in eight patients and decreased in five patients. Fact is that all the same benefits Tai Chi and Qigong (Chi Kung) provide those in heart health therapy, or cardiac rehabilitation, are the benefits that bode well for everyone. Tai Chi's uniquely multidimensional benefits put it in a class by itself as far as comprehensive benefits provided by one easy to use, gentle on the body, fitness regimen. The exercise entwines the mind, body, and emotional systems and the chemicals that link these aspects of ourselves to create a powerful life enhancing tool, as well as a health & fitness tool. As modern medicine continues to discover the links between the heart, mind, and physical health, Tai Chi will increasingly emerge as a giant in the future of modern health care.